The Päck has lead Emerald Dream in quality role-playing since 2011. To this day we stand as a beacon to new and old role-players, recognized for our creativity, quality, and positive attitudes. 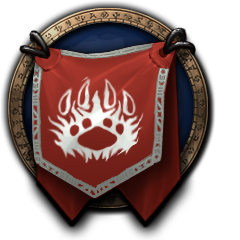 It is our mission to continue to do so to better the role-playing community. To achieve this we require all members of this guild to read, acknowledge, and follow the rules listed below. Once you have read this Code of Conduct, acknowledge that you have read and agree to follow below. I the one and only Batman completely agree and 100% cool with this. Thank you for allowing me back :D <3 FOR THE PACK! Slashing the signature line with two claws he finalizes his signature with his family crest. *tries to write my name with a pen, ends up making squigly lines* Signed..? I have read the CoC and agree. I have read the code of conduct and agree!